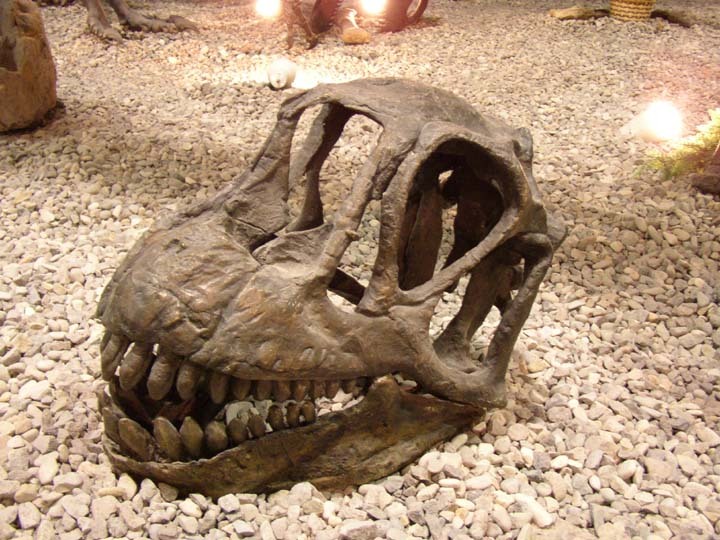 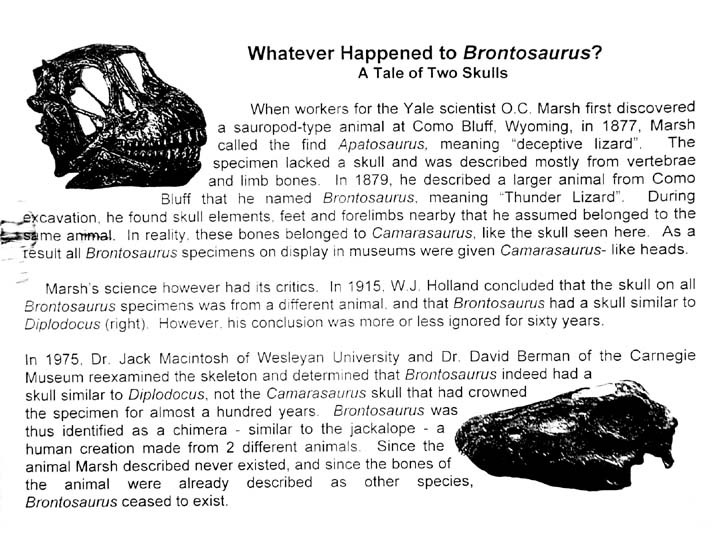 For over 100 years the Brontosaurus was mounted with a Camarasaurus skull and an Apatosaurus body, as described in this sign. 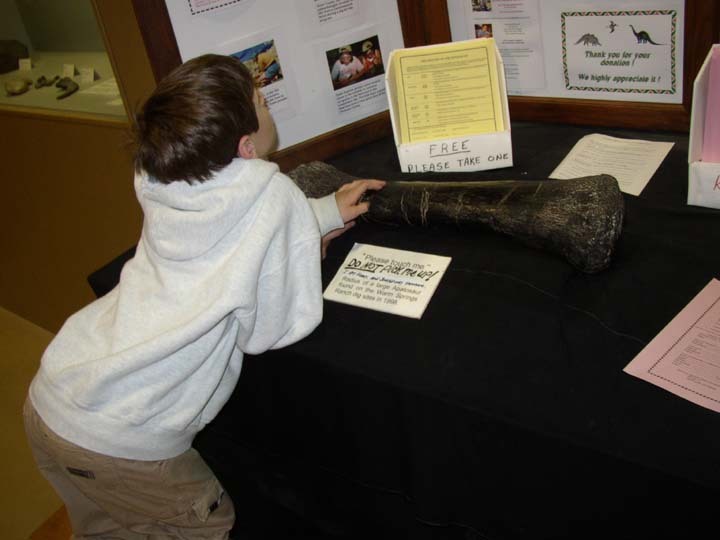 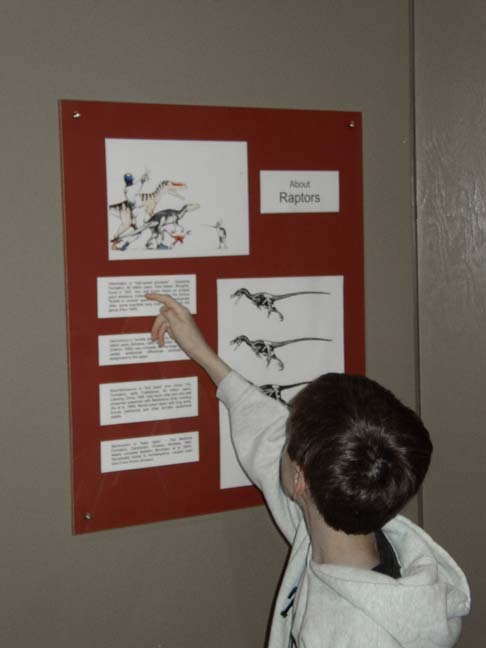 Thomas touching an Apatosaurus radius bone, marked "Touch Me." 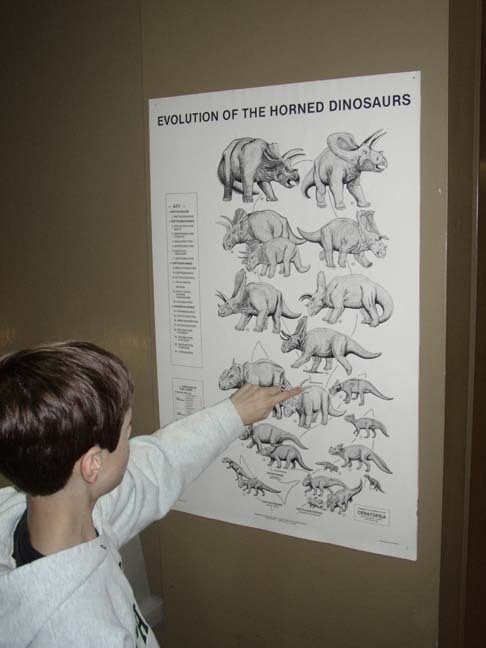 A chart illustrating the evolution of horned dinosaurs.